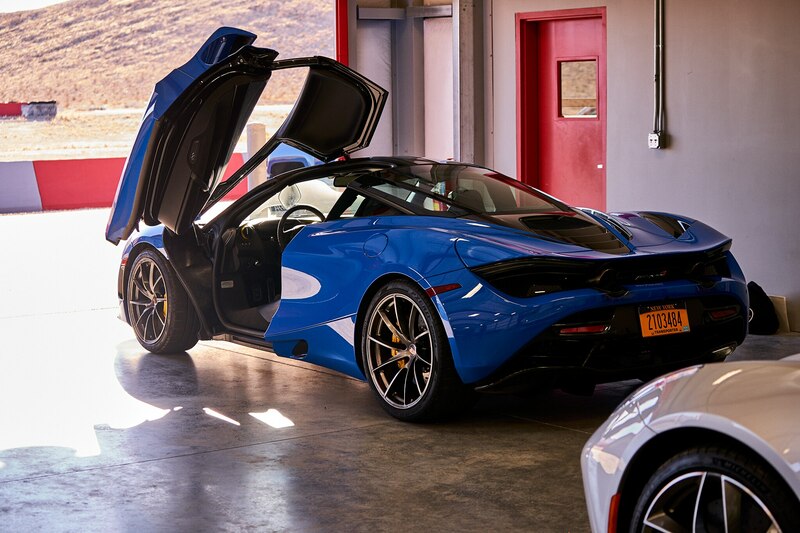 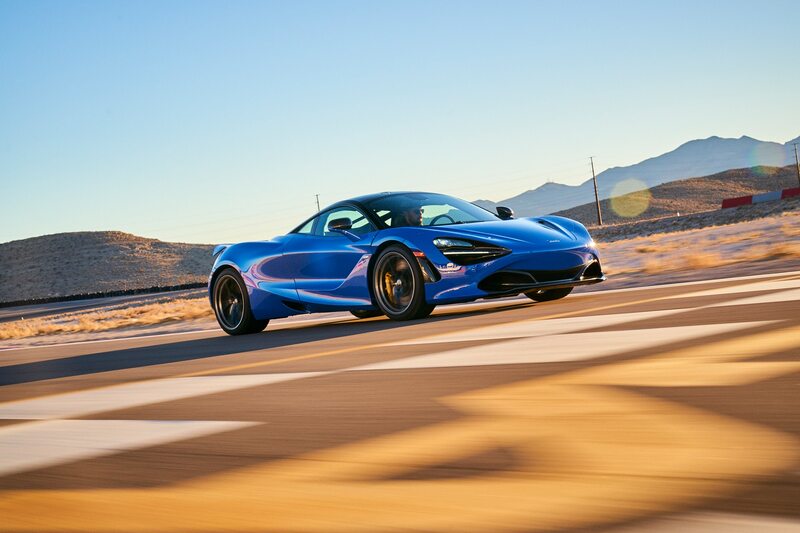 A single-seat race car for the road—that’s the takeaway a lot of us shared after exiting this sizzling McLaren’s form-fitting driver’s seat. 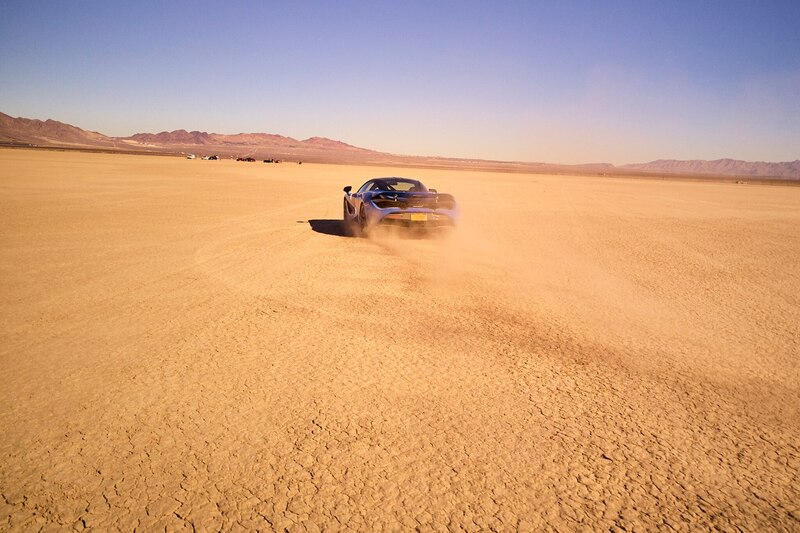 Once we were able to catch our collective breath, that is. 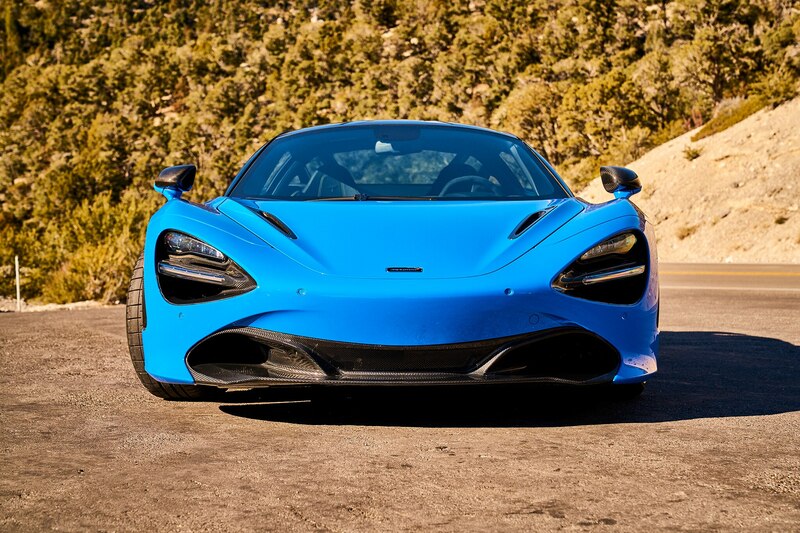 More than any other car in this year’s formidable All-Stars field, the 720S left everyone who drove it gobsmacked, speed-struck, and, frankly, in need of a little quiet time. 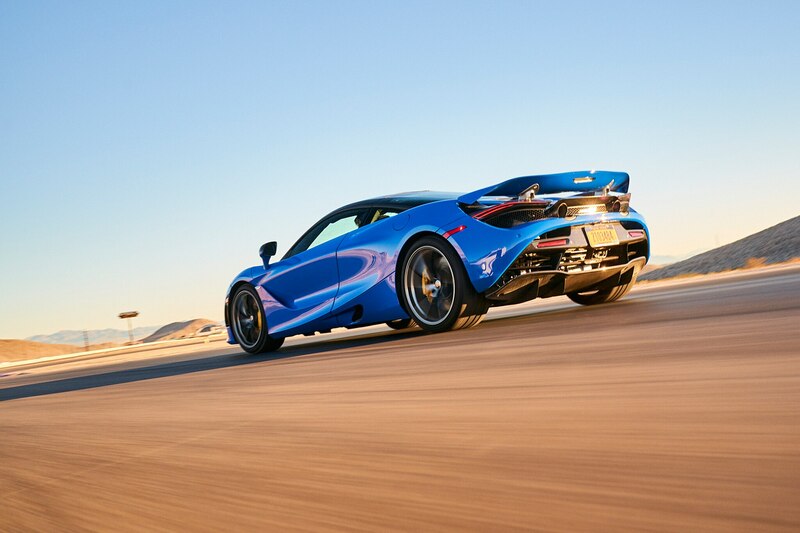 One of the most successful Formula 1 teams of all time, McLaren has notched 12 world drivers’ championships and eight constructors’ titles since its first F1 race in 1966. 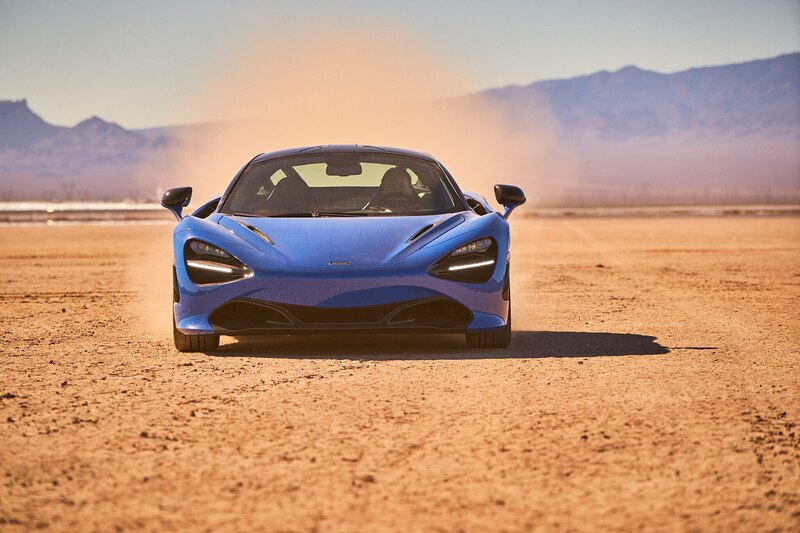 The company knows a thing or three about speed. 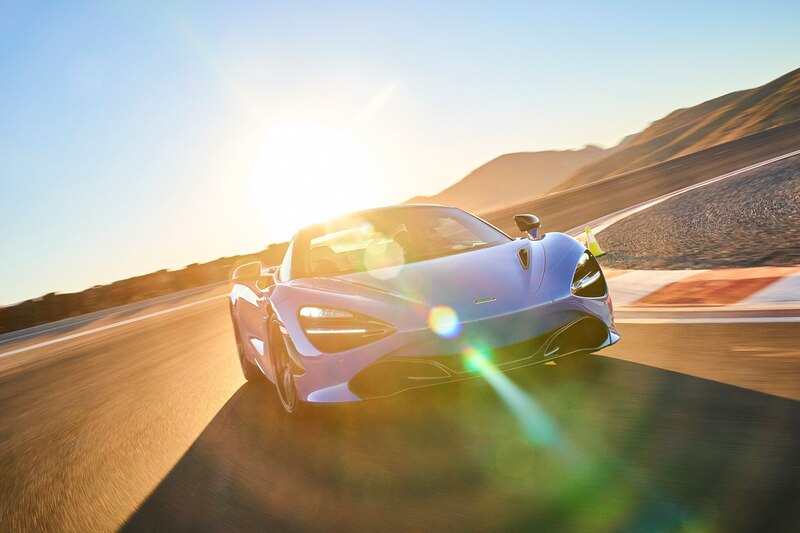 That’s evident the moment you slide behind the wheel of the 720S: That same race-bred character is evident in its every molecule, integral to its visceral, purebred purpose. 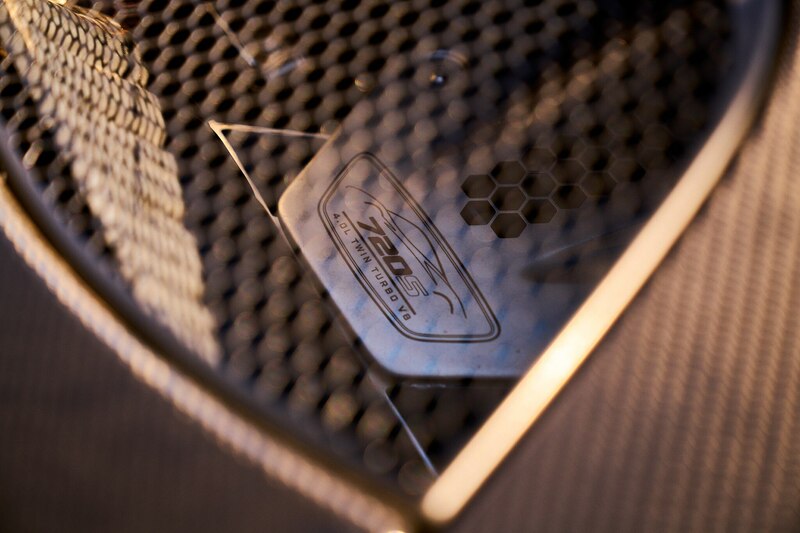 The tub, the windshield surround, and much of the greenhouse are crafted in lightweight, super-rigid carbon fiber. 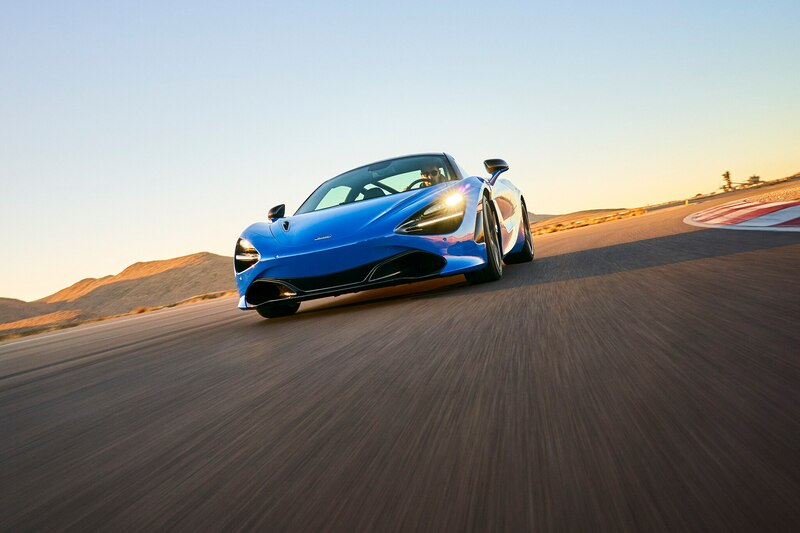 (McLaren claims the new structure—dubbed Monocage II—cuts 40 pounds off the outgoing 650S’ monocoque.) 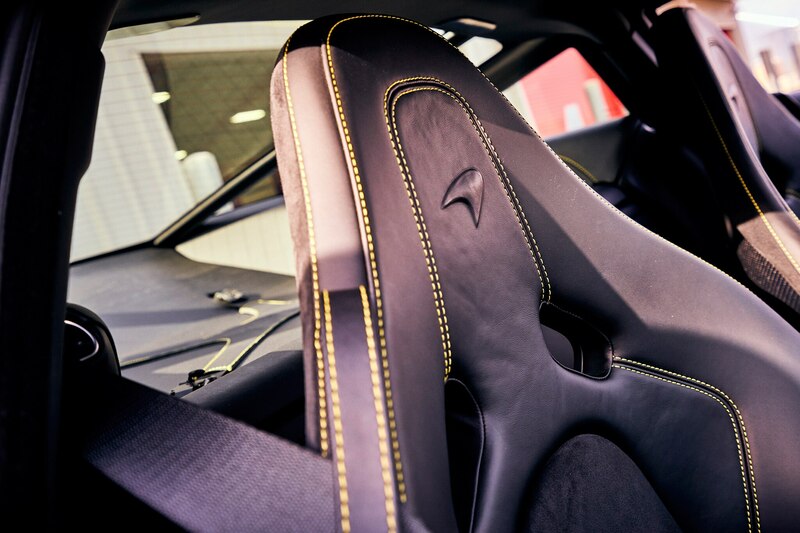 The cockpit is a pilot-focused workspace of premium leather, deep racing buckets, and minimal controls. 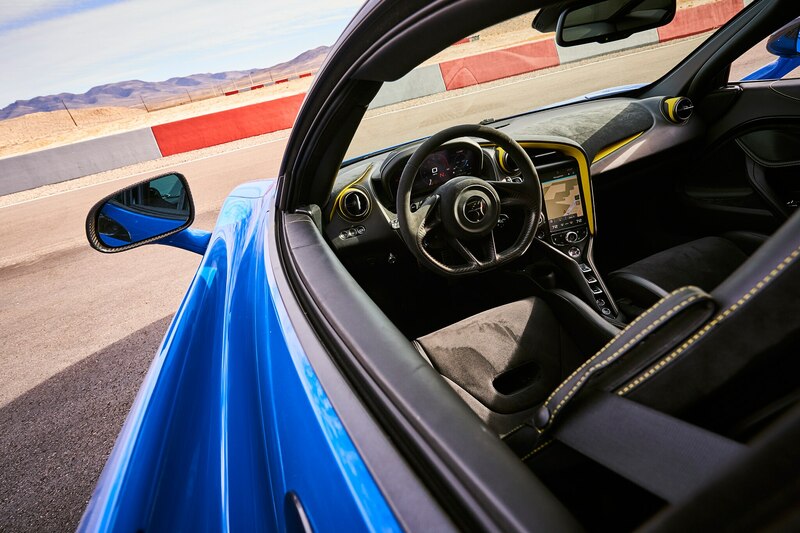 The view to the front, enhanced by notably thin A-pillars, is nothing short of breathtaking—like riding in the nose turret of a B-17 or, yes, in the open cockpit of a Grand Prix car. 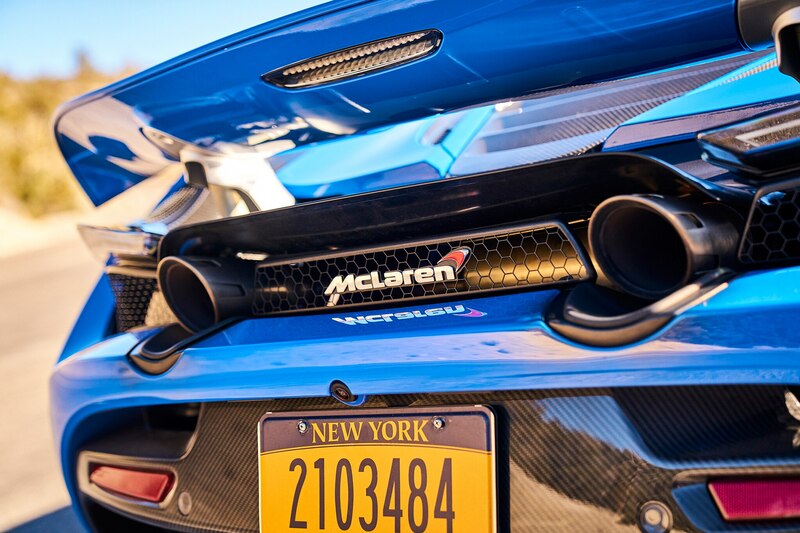 The engine lies right behind you, and what a monumental piece of work it is. 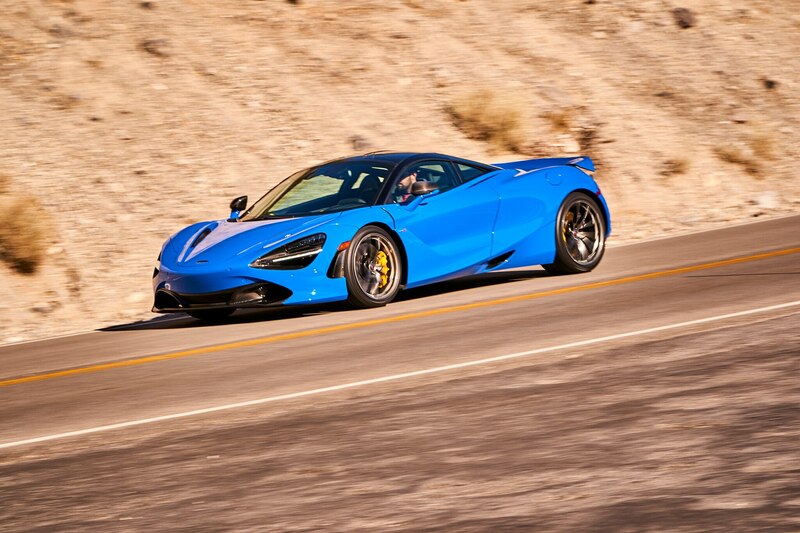 Twin turbos and 32 valves feeding 4.0 liters of V-8 displacement, all tweaked and tuned to produce 710 horsepower at a screaming 7,500 rpm. 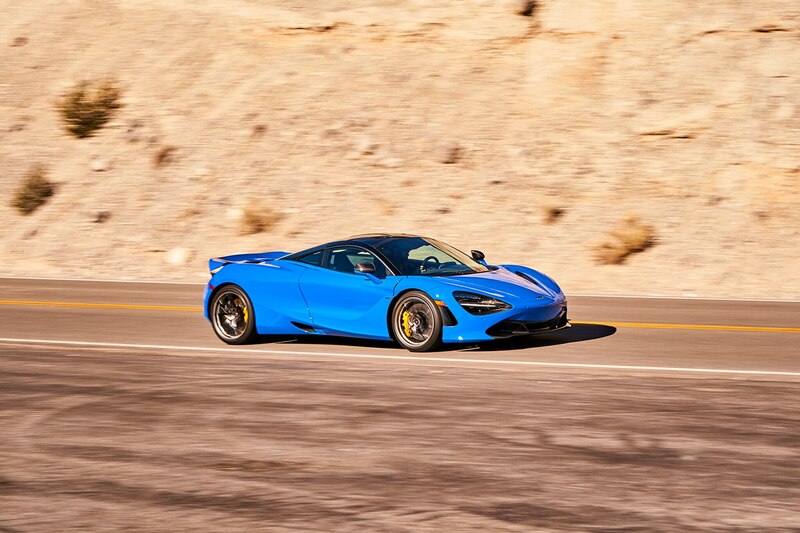 Mind you, that’s 79 horsepower more than the already volcanic Lamborghini Huracán Performante. 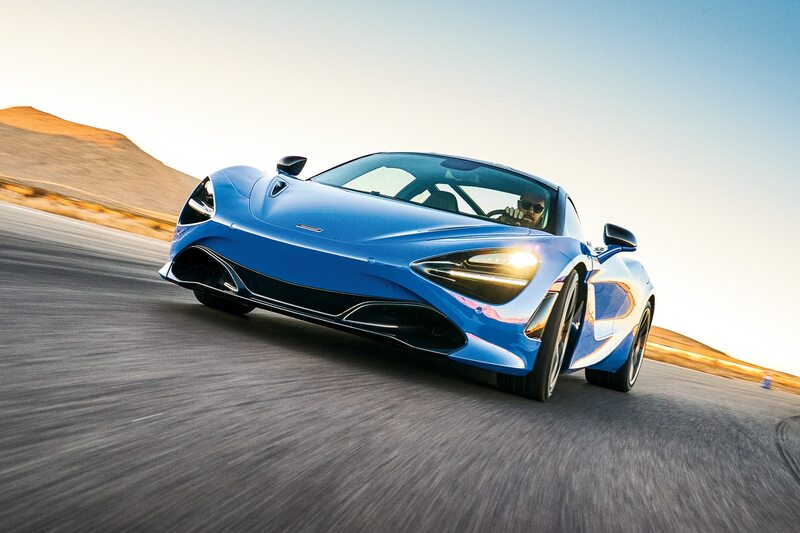 Add such muscle to the 720S’ light touch on the scales—it weighs less than 3,200 pounds—and you have performance that leaves even veteran auto journalists laughing in disbelief. 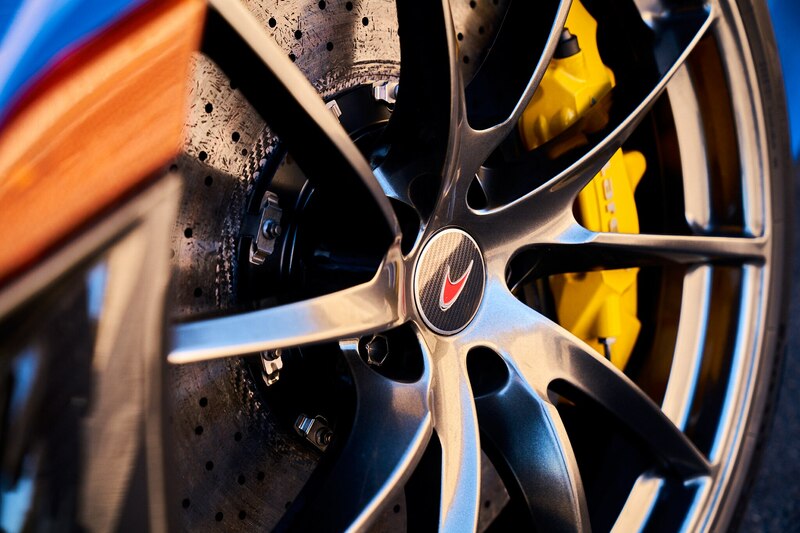 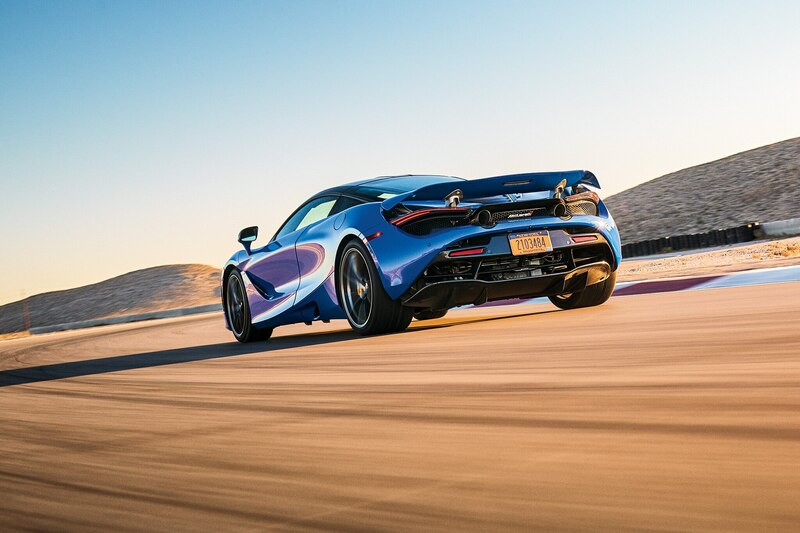 The McLaren’s suspension redefines handling brilliance. 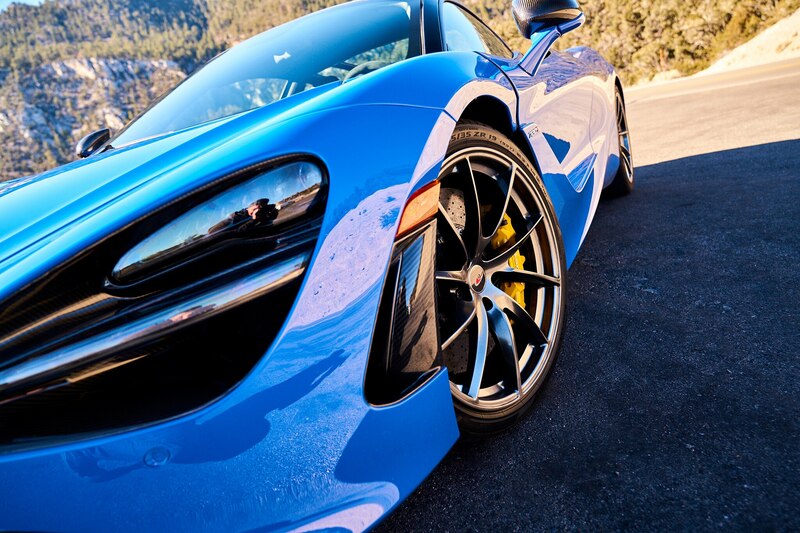 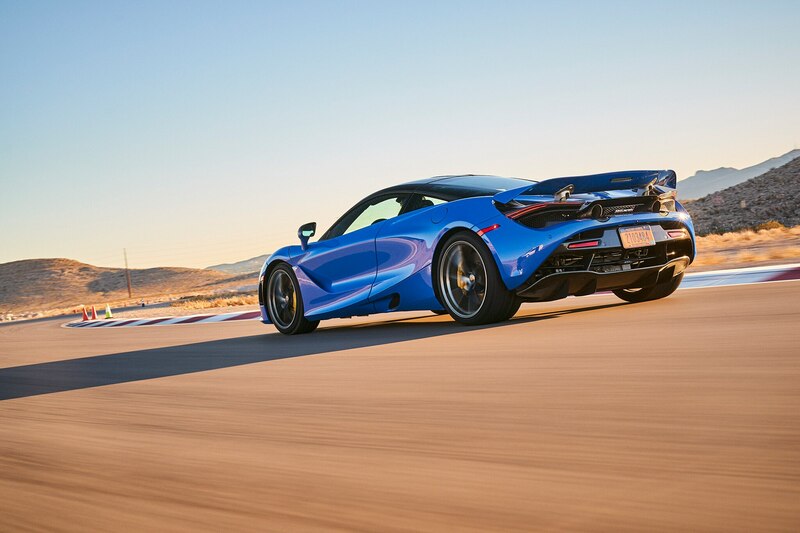 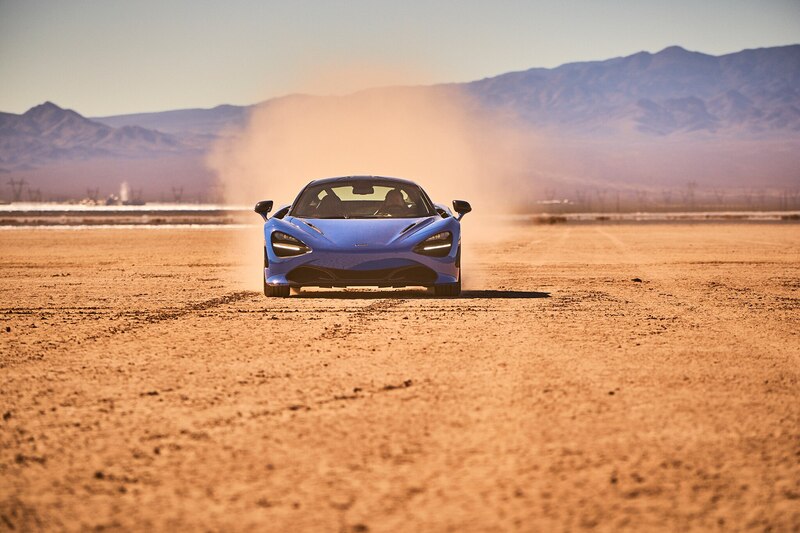 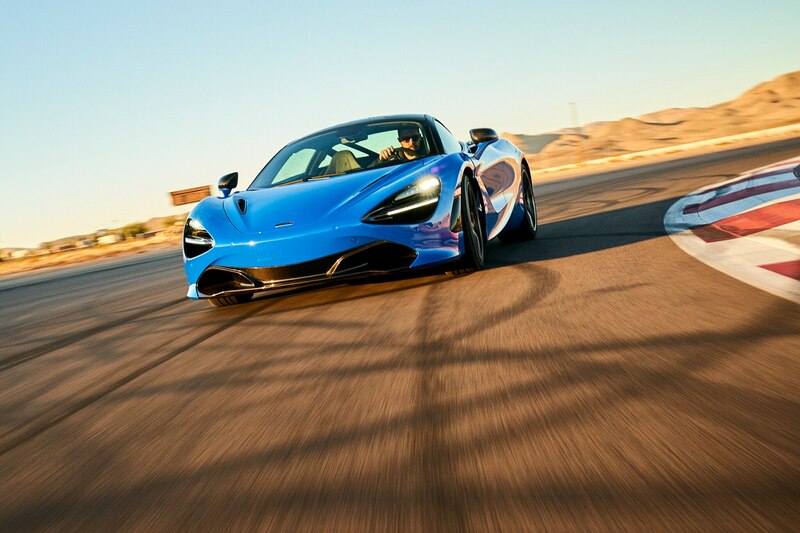 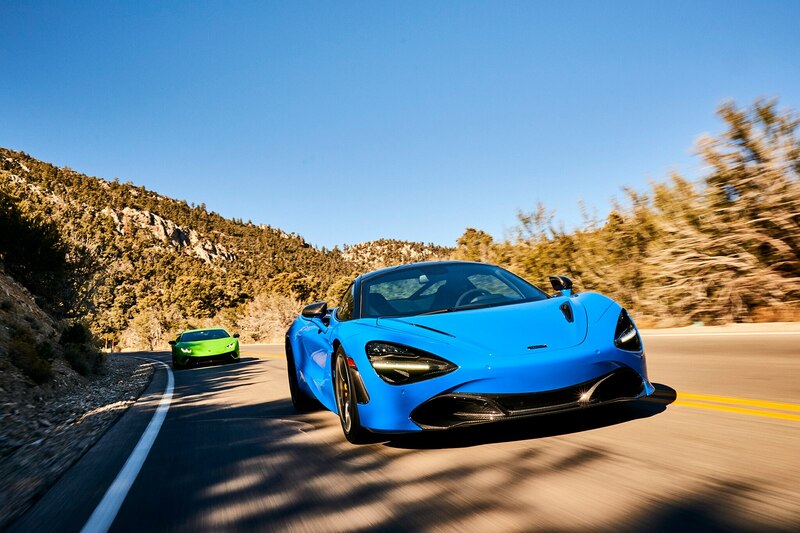 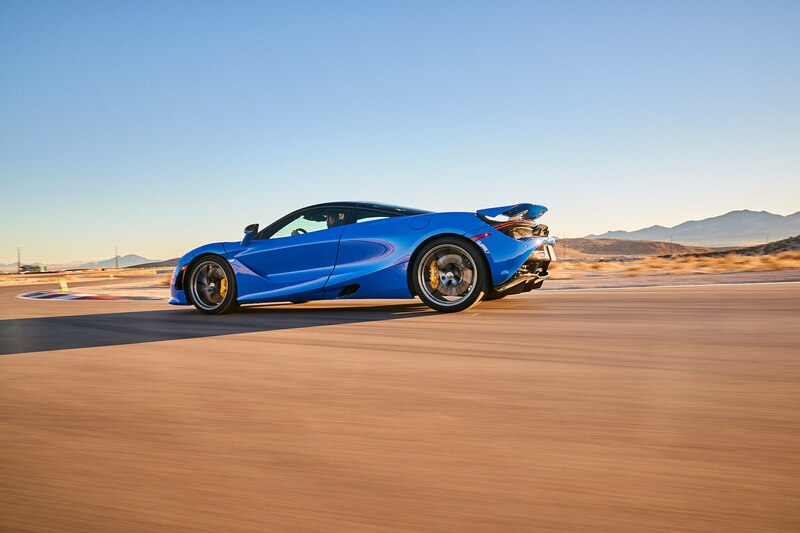 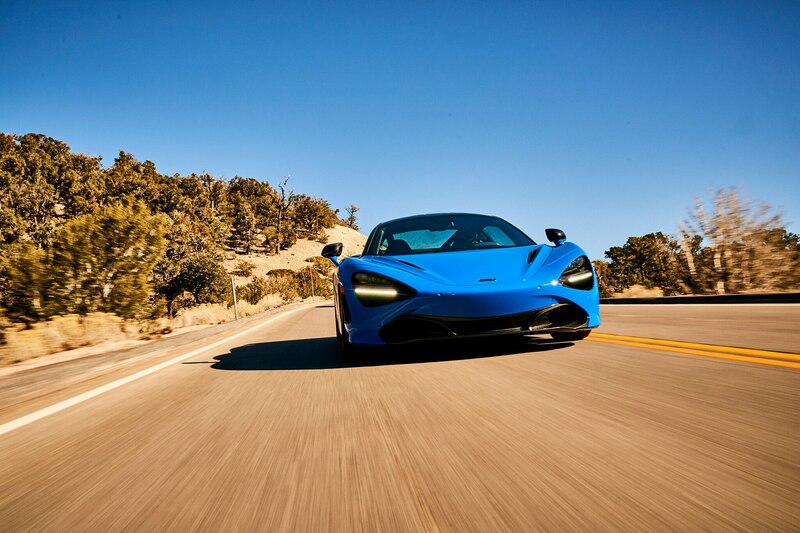 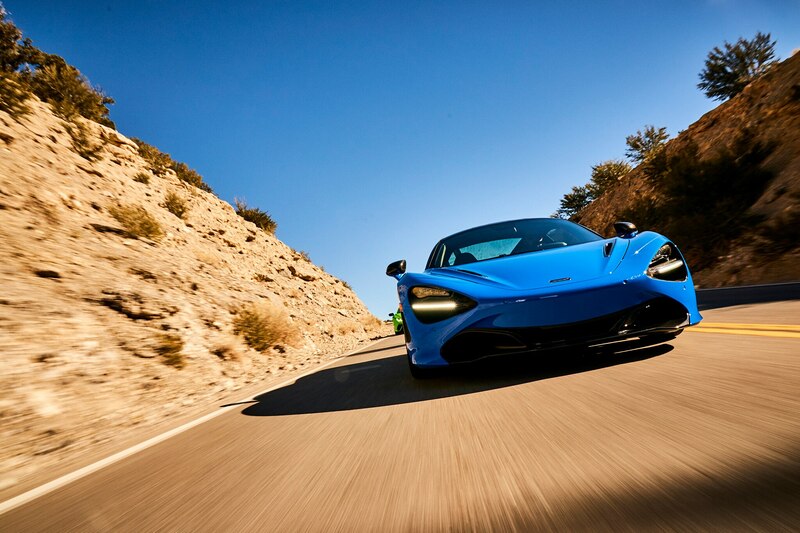 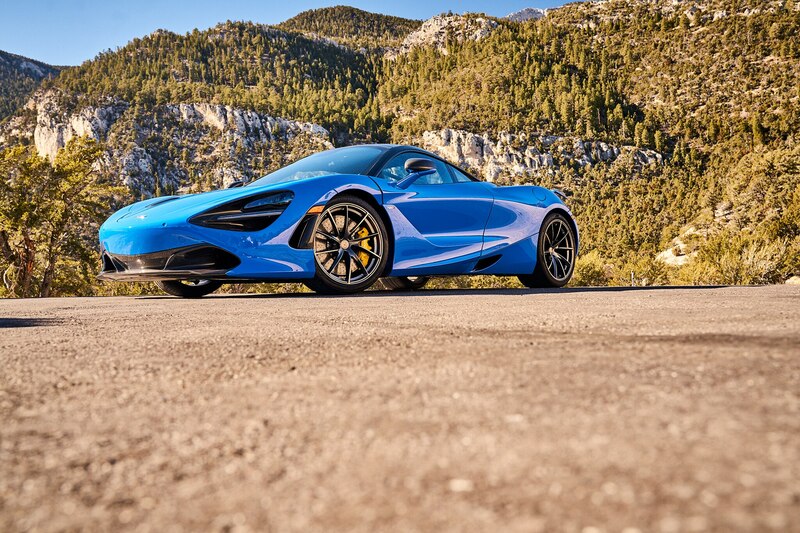 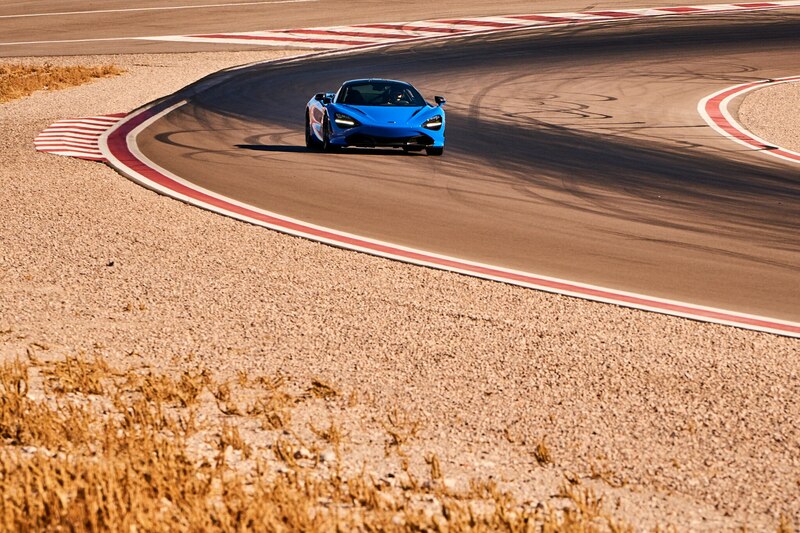 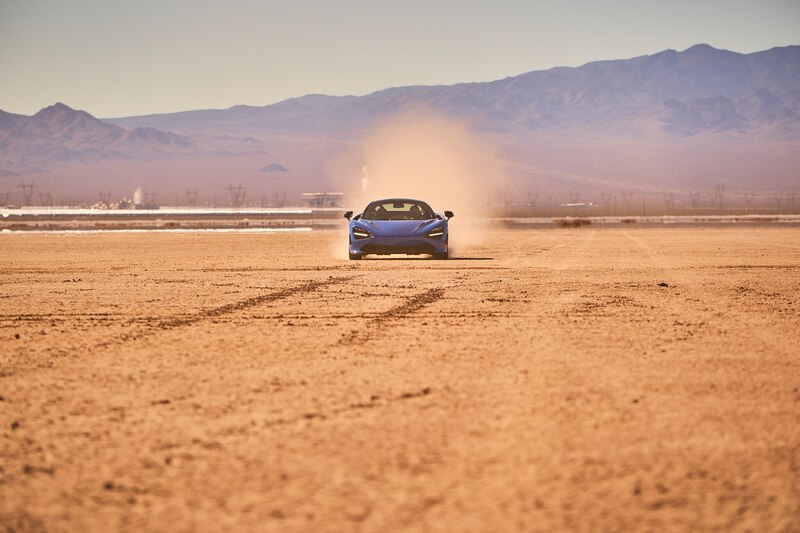 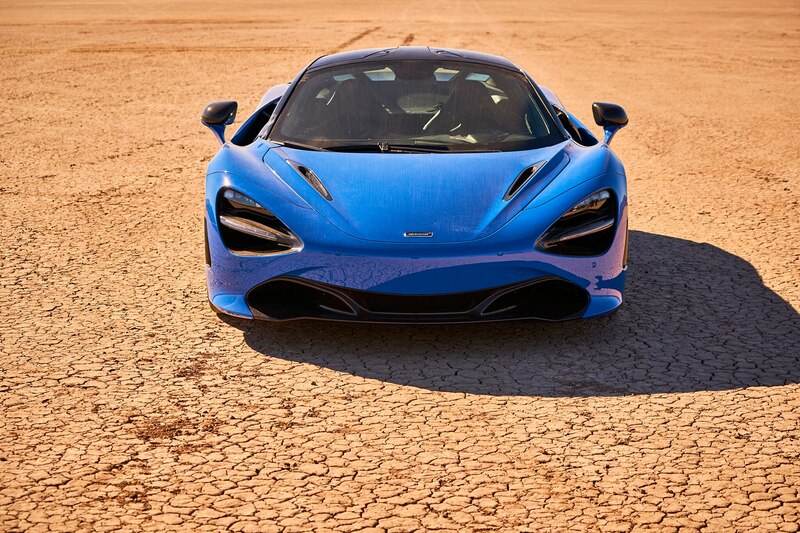 Outfitted with Proactive Chassis Control II—which continuously monitors driving conditions and automatically adjusts chassis dynamics—plus driver-adjustable modes (including a new Comfort setting) and huge, sticky Pirelli P Zero tires, the 720S delivers both blistering responsiveness on the race circuit and supreme civility on the road. 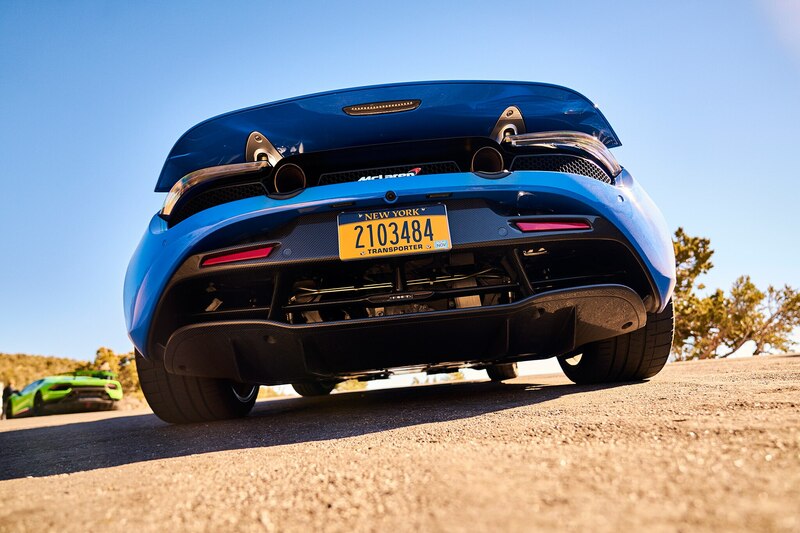 “Precise, linear electrohydraulic steering tells you exactly what the car is doing,” Noordeloos said. 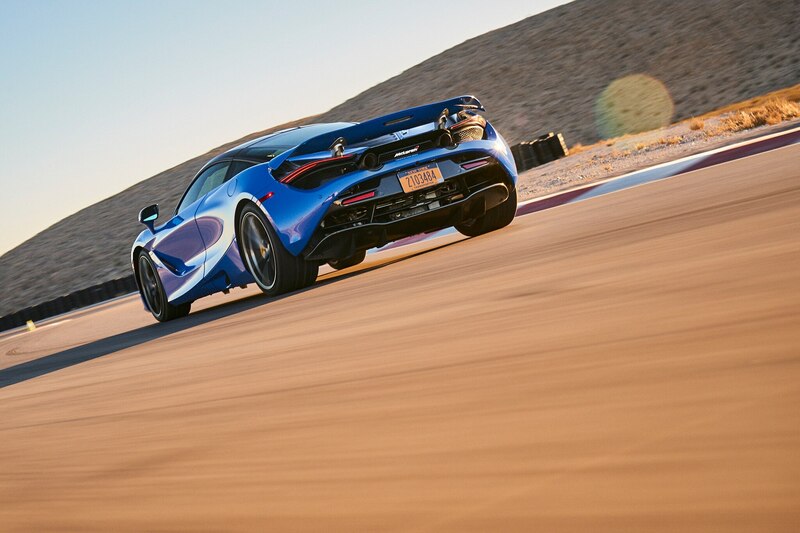 “Amazing and rewarding on both the track and the road.” Design editor Robert Cumberford concurred. 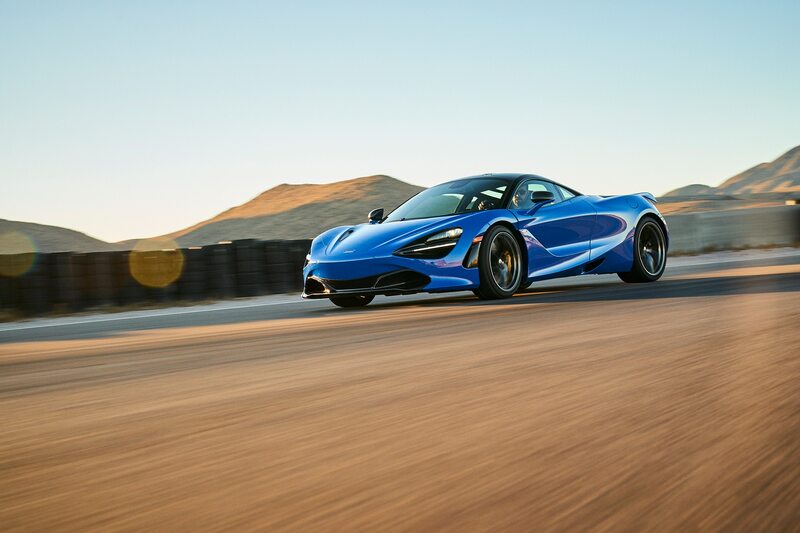 “Suspension is superb, for handling and for comfort,” he said. 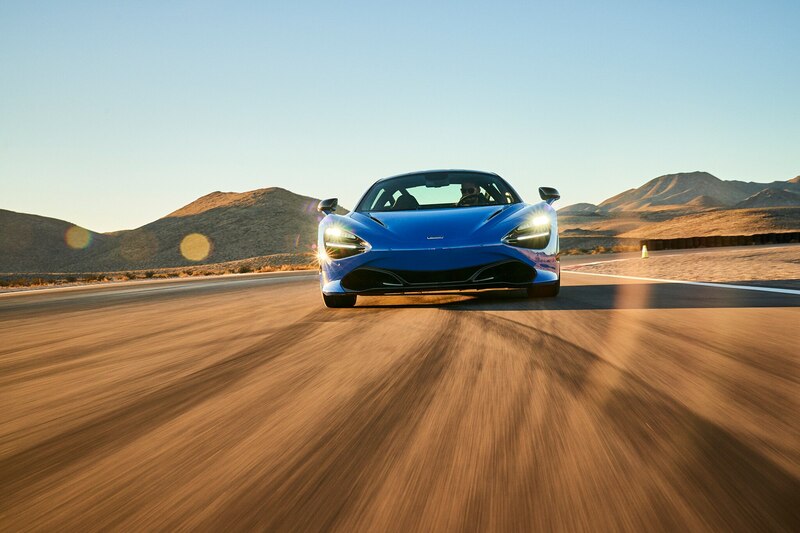 The 720S is one of those exceedingly rare sporting machines that truly becomes one with its driver. 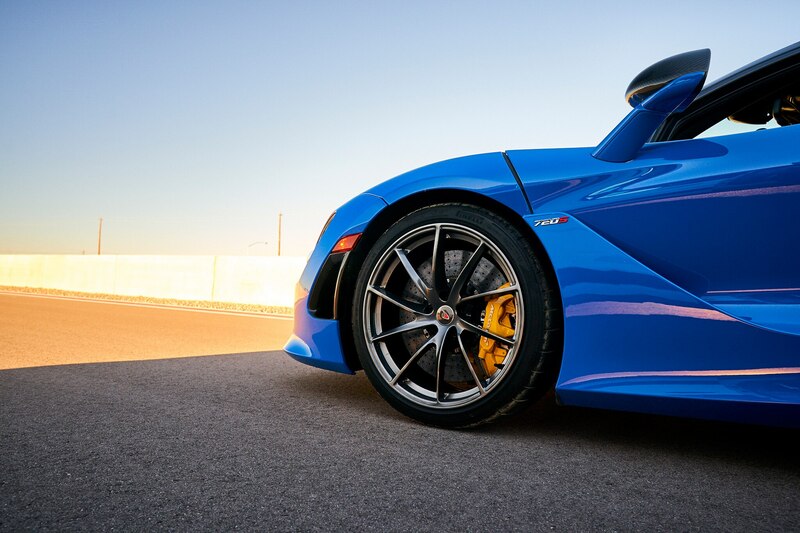 You wear the car like a wet suit, and through that fine skin you feel every tickle of the road, easily sense the grip of the tires, instinctively grasp the approaching limit. 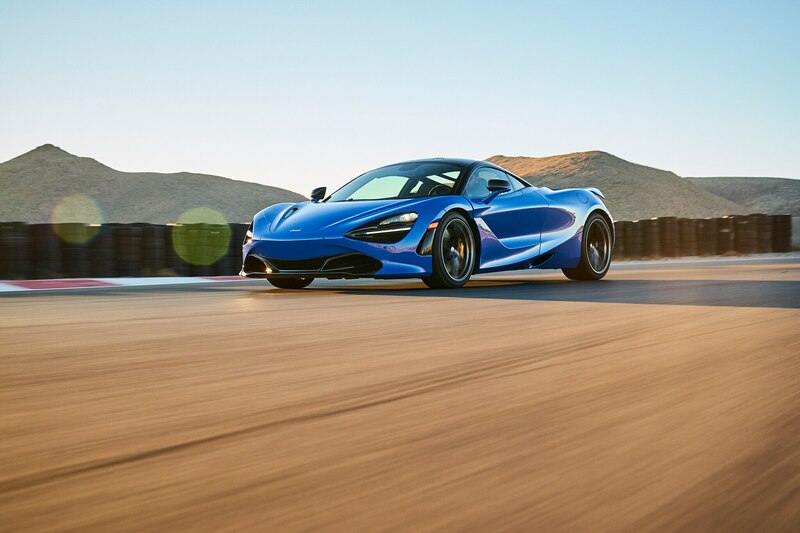 The 720S is better than you are—and in turn wrings the best out of you. 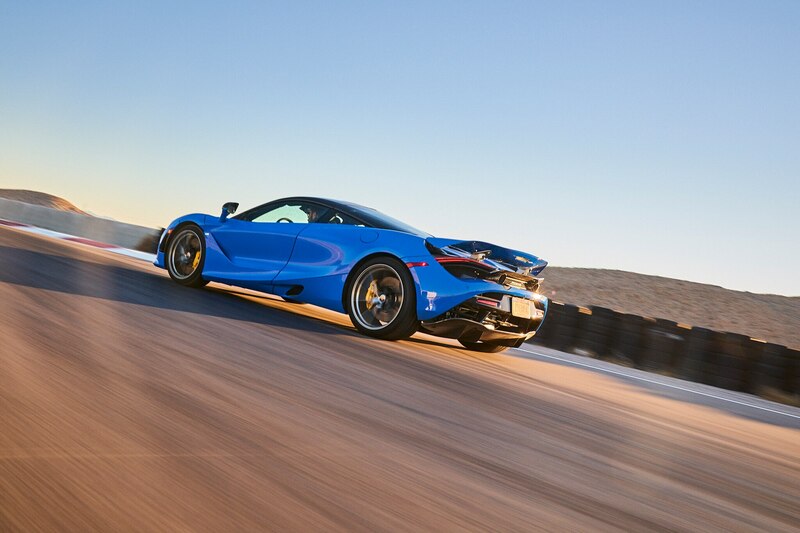 Few cars of such extreme capability are so reassuring to push hard. 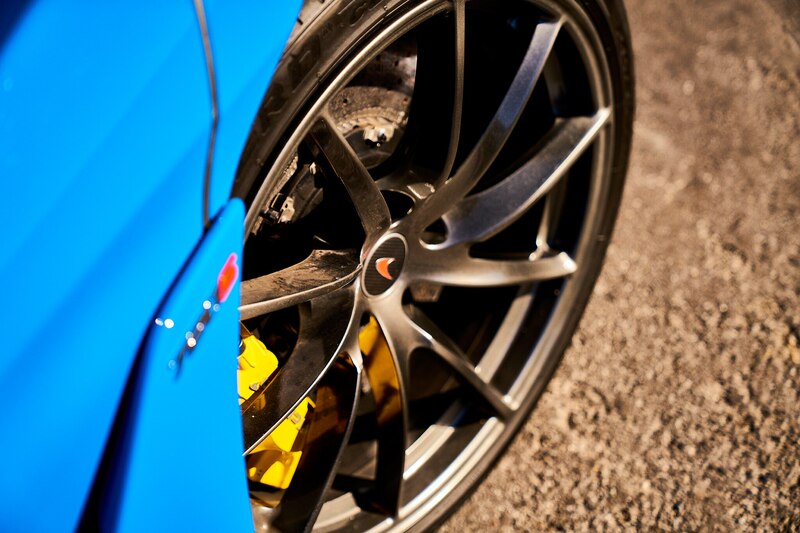 Quibbles? 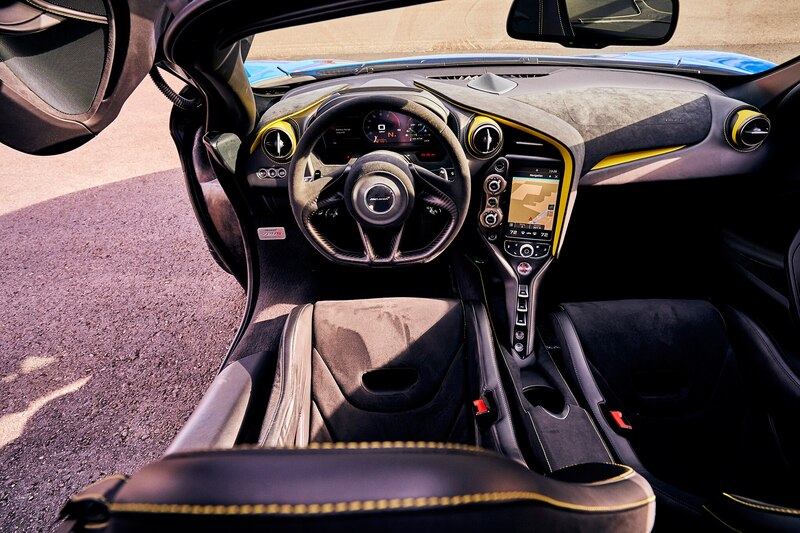 Nothing significant in a car like this. 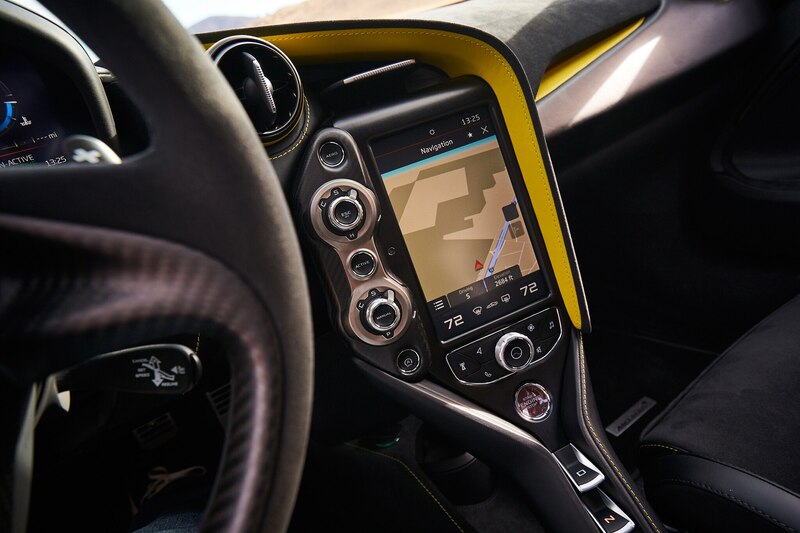 “You need to be a contortionist to get in and skilled at sleight of hand to buckle the safety belts,” Cumberford grumbled. 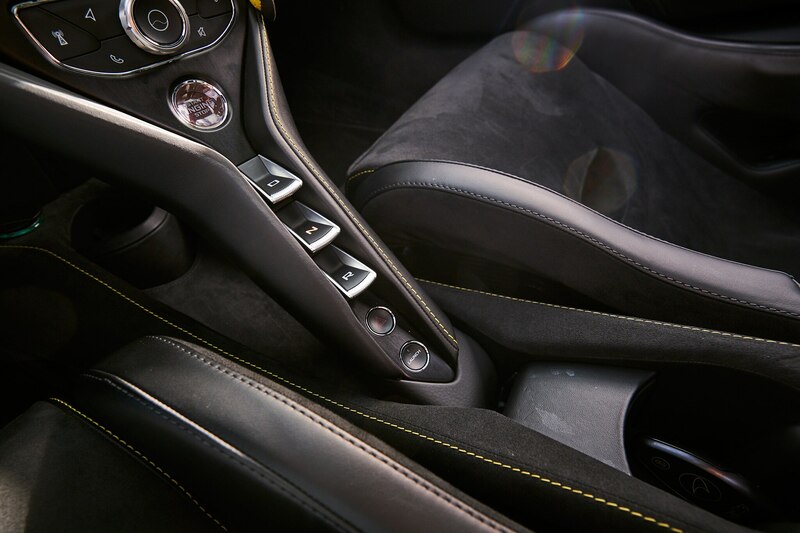 Noordeloos complained about the touchscreen, noting that many often-needed functions—normally operated by cockpit switches or buttons—are buried deep in the system. 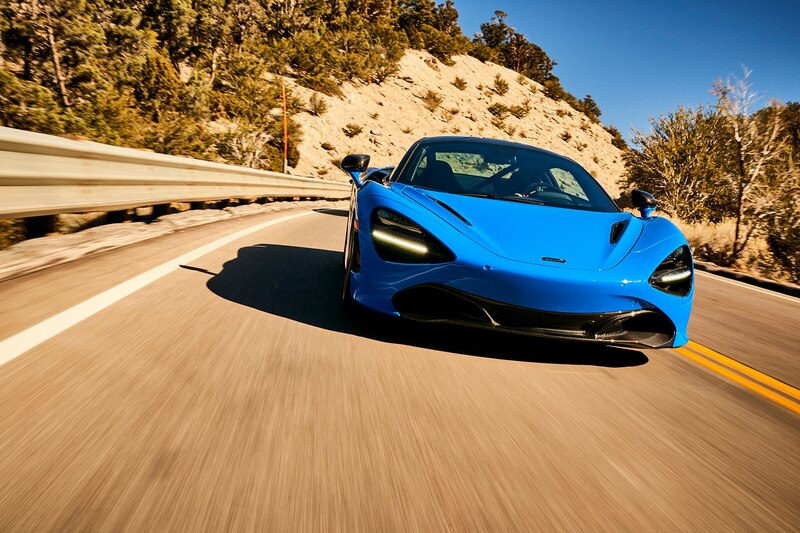 Also, the McLaren’s standard carbon-ceramic brakes are touchy and take some time to adjust to, though there’s no doubt about their staggering stopping power.